Hi and welcome to my The Middle Game in Chess review. This book was written by International Grandmaster Eugene A. Znosko-Borovsky and originally published by David McJay Company in 1938. This book was later translated by J. du Mont and published by Dover Publications, Inc. in 1980. This book really focuses on the middle game. The book has two main parts. 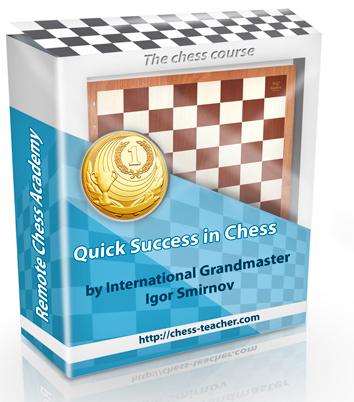 The first part covers the material of the game, ideas in chess, strategy as well as tactics. The second part covers the stages of the middle game, superiority in positions, inferior positions and even positions. This book is in the old chess annotation style. This book covers the middle game very well. It’s hard to teach the middle game because there are so many possibilities but this book will guide you during the middle game. I think the middle game study is very important since you do most of the battle there. You will find almost everything that you need to know about the middle game in this book. My main issue I have with this book is that it only has about 80 chess diagrams in over 200 pages. In conclusion I would personally like to have a few more chess diagrams. I think having just one for every 2 or 3 pages is not enough. The material presented is sound but I did find it a little dry and hard to follow at times. Seems like a few more diagrams probably could have helped a little. This book is for beginners and intermediate players. I would recommend this book if you have an interest in studying the middle game. Therefore if you have not focused or studied the middle game this book could be instructive for you. Thank you for reading and I hope you have enjoyed my The Middle Game in Chess review.